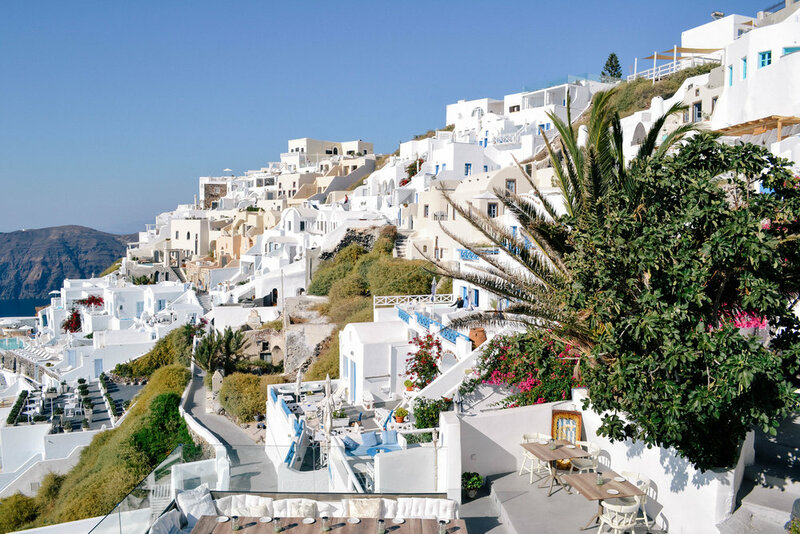 Santorini is most likely the place that you've heard about before even beginning to plan your trip to Greece. It's the place that evokes thoughts of pastel colored homes, blue domed churches and sunsets over the Sea - and it is truly that and more. It may be full of tourists especially if you visit during the summer months, but plan around the shoulder season and enjoy spending a few days on this tiny island getting lost in the streets of Oia, sipping on Greek wine, lounging on the beach and doing the cliff walk from Fira to Imerovigli - you won't be disappointed. 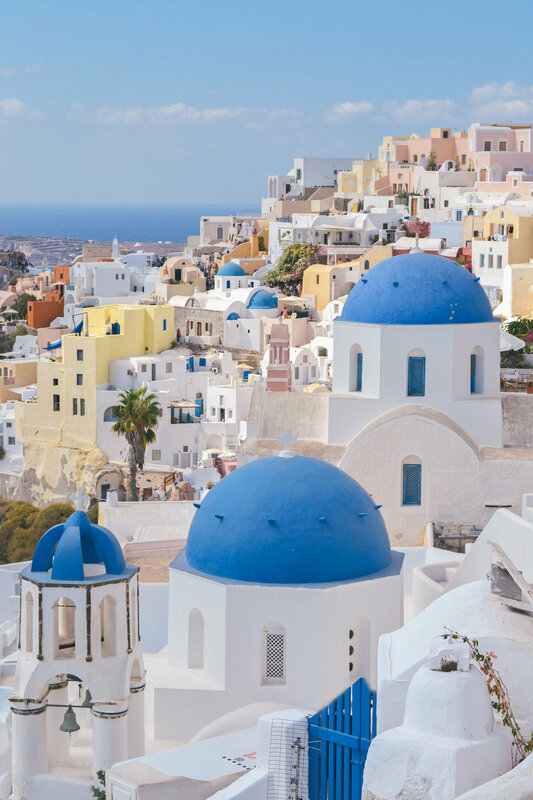 We spent three full days in Santorini and it was the perfect amount of time to see everything if you are planning on stopping at one or two more islands on your trip. I always scan travel websites and blogs and find them to be some of the best sources of information for my own trip planning. Here you'll find some of my favorite shots from our time in Santorini.